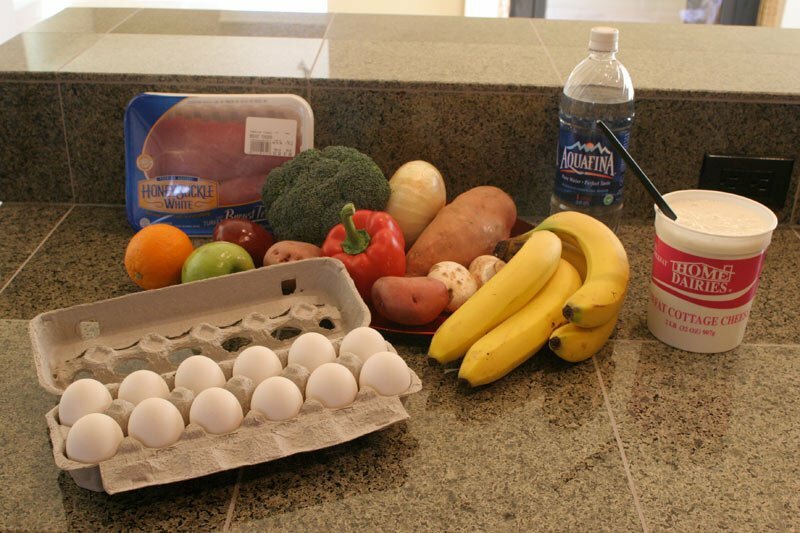 Pre And Post Meals: Bookend Your Workouts The Smart Way! Pre and post are the golden boys of effective supplementation and nutrition for muscle building AND fat loss! My training and education company, Performance University, has become recognized around the world for innovative hybrid strength and conditioning programs that deliver fast results in the gym and on the field. But the problem is that getting results, particularly ones you can see in the mirror, requires as much careful attention to nutrition and supplementation as it does to training. What you eat and when you eat it can increase or decrease the effectiveness of your workout program, regardless of how well it's designed. Recovery, anabolism and results depend on two key meals: post-workout and pre-workout. Settle in and learn a thing or two about workout nutrition and workout supplementation guidelines we use at Performance University to help our clients and athletes maximize their size, strength and fat-loss results. If you're like one of my clients and want the absolute best results from the time and effort you commit to your training, this article has your name on it. The stigma that breakfast and dinner are the most important meals of the day isn't entirely accurate. Although they are indeed important, the latest science on nutrient timing shows us how important pre and post-workout meals really are. One study sought to measure the effects of supplementation during the pre- and post-training "windows" against supplementation effects from supplementing at breakfast and dinner, over the course of a 10-week program. Two study groups were fed 32 grams of protein, 34.4 grams of carbs, less than .4 grams of fat, and 5.6 grams of Creatine Monohydrate per day. Try the experiment at home or with some friends! The control group consumed the above nutrient ratio over two meals (one at breakfast and one in the evening), while the other group consumed the nutrients directly before and after strength training. What were the findings? Pre- and post-workout supplementation demonstrated a greater increase in lean body mass and 1 Rep Max strength. The changes in body composition from pre/post-workout supplementation were supported by a greater increase in cross-sectional areas of the type II muscle fibers and contractile protein content. Pre/post-workout supplementation also resulted in higher muscle creatine and glycogen levels after the training program. The study concluded, "Supplement timing represents a simple but effective strategy that enhances the adaptations desired from resistance training." So let's go over how to glean every last result from your workouts with proper training supplementation. 30-40 grams of a slow-digesting carbohydrate: like whole-wheat bread, yams, wild rice, beans, red potatoes and/or fruits. Slow-digesting carbs produce a relatively slow increase in blood glucose and a modest insulin release in response. They are more natural carbs that aren't made in a food-processing plant. A lean protein like chicken breast or fish fillet, low in saturated fat. A fibrous carb-source like vegetables. Salads are a great pre-workout food, and they can keep blood vessels dilated to increase blood and oxygen flow to the muscles. 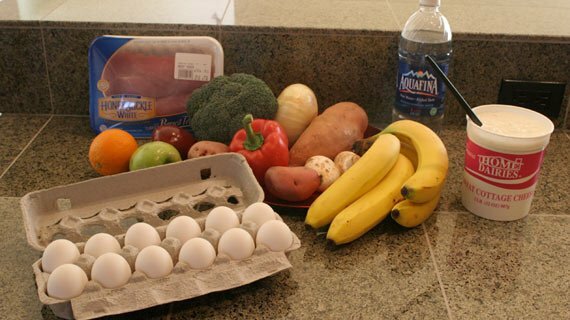 They may just look like foods, but they're actually your anabolic arsenal! Consume a fast-acting protein shake with whey protein or even better, a combination protein shake with whey and casein. Why? A study on protein digestion and retention showed that a slow-absorbing protein like casein is superior to whey in promoting protein accretion over a 7-hour time frame. In other words, whey is a great fast-absorbing protein for recovery and fuel, but ingest some casein for added results. Get short-term AND long-term results! Consume a fast-digesting (high-glycemic) carbohydrate drink. Whey and casein, the dynamic duo of post-workout performance. A lean protein source like chicken breast or fish. A fibrous carbohydrate source like salad. A piece of fruit (preferably lower-glycemic sources like berries). 100-400 milligrams of caffeine (sources include coffee or supplementation). 20 grams of a fast-digesting protein like whey protein. 20-40 grams of a slow-digesting carbohydrate like berries (optional). 1-3 grams of Beta Alanine. Consume a fast acting protein shake with whey or a combination of whey with casein. Why no carbs post workout? Will you lose your hard-earned muscle? Nope, and I'll tell you why. A recent study showed that the pre and post-workout ingestion of dietary protein is superior to an equal amount of carbohydrate ingestion, concluding, "From the standpoint of gaining skeletal muscle mass, evidently consuming carbohydrates is not necessary." So there you have it. Stay true to pre and post-workout supplementation, and you'll stay on track toward major muscle or lean and mean! Cribb P.J., Hayes A. Effects of supplement timing and resistance exercise on skeletal muscle hypertrophy. Published in Med Sci Sports Exerc. 2006 Nov; 38(11): 1918-25. Dunnett M., R. C. Harris. Influence of oral beta-alanine and L-histidine supplementation on the carnosine content of the gluteus medius. Equine Vet J. 30(Suppl): 499-504, 1999. Harris R. C. Muscle carnosine elevation with supplementation and training, and the effects of elevation on exercise performance. (Presented at the International Society of Sports Nutrition Annual Conference, 2005, New Orleans). Stout J. R., J. O'Kroy, M. Mielke, R. Zoeller, D. Torok, J.T. Cramer, and B. S. Graves. Effects of 28 days of beta-alanine and creatine monohydrate supplementation on physical working capacity at neuromuscular fatigue threshold. (Presented at the International Society of Sports Nutrition Annual Conference, 2005, New Orleans.). Kerksick CM, Leutholtz B. Nutrient Administration and Resistance Training. J Int Soc Sports Nutr. 2005; 2(1): 50-67.